Ann did not want to stay the course. And she was happy she did not. After working 8-to-5 jobs for 12 years in different industries, she was ready for a change. In 2008, when her parents were hospitalized for different reasons, she began to feel the need to earn more, but spend more time at home to assist her family. She became obsessed with learning and then working on achieving financial freedom. In 2009, she got her first internet marketing training and started on considering an online freelancer career. However, it was not until 2013, when she was diagnosed with Stage 1 Thyroid Cancer when she really felt the push to get clear on her career path. She quit her government work and pursued a full-time virtual assistant career. Not long, she landed a gig as a social media manager for a Singaporean agency. 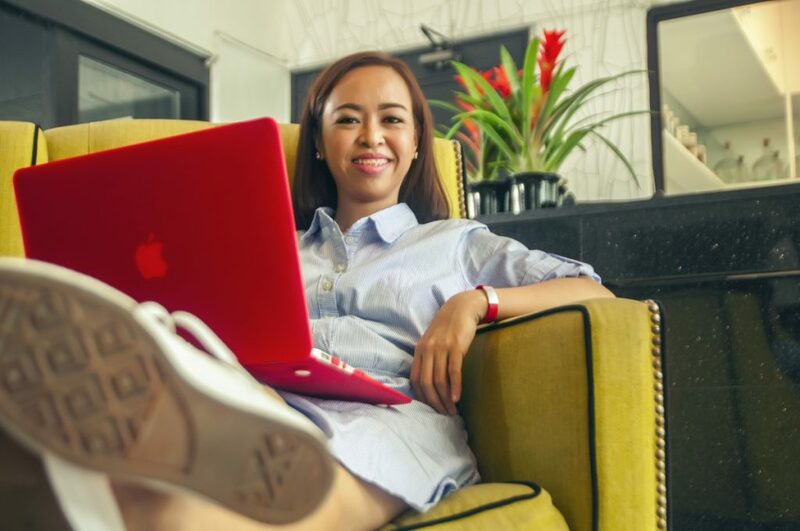 She eventually quit her day job and sought more clients in Australia, USA, and even served small and medium enterprises here in the Philippines. Today, she enjoys a consistent slew of clients from all over the world and dialed in her main strength: Facebook Ads Management and Social Media Consulting. Through her successes in these arenas, she is also able to share what she knows — business and social media — in a tightly knit group mentorship program that she shares with Nina Mendoza. If you could travel back in time to before you started, what 3 tips would you give yourself and why? 1. Heed your guidance counselor’s advice and study Marketing because you frowned on that career exam result in high school. 2. There is nothing wrong with getting crazy with Miss Universe or anything else under the sun. But make sure you earn from your passion. 3. Trust your gut. God placed it there for you to listen to. What makes your company/service stand out? My work stands out because I try to understand the whole business of my clients. I am not someone who wants to be hired because of the money that would be sent my way. Even if I only do Facebook marketing, I also help in the other aspects of the business that could be automated or delegated. According to my current and previous clients, my work stands out because of my honesty and integrity. I also bring positive energy to my work. One of my clients loved meeting with me because, before everything else, I bring a smile to the meeting. Today, Ann focuses on serving her clients and helping more Filipinos walk right down the success path. Even though she took a huge detour, received backlash from friends and family, and went against the course, she still thinks it’s worth it. And with the value she brings to the industry and based on the smile on her face, we think so too.